Charlotte Motor Speedway's spectacular 60th season promises to be bigger, better and more entertaining than any year in the illustrious history of America's Home for Racing. From the 60th running of the iconic Coca-Cola 600 to the 35th Monster Energy NASCAR All-Star Race and the return of the Bank of America ROVAL™ 400, speed merchants will have more than their fill of thrills when visiting Charlotte Motor Speedway this year. "We're always looking to up the ante here at Charlotte Motor Speedway, and with 2019 featuring so many notable anniversaries of events, our fans are in for an unforgettable year of excitement," said Greg Walter, Charlotte's executive vice president and general manager. "Our lineup of new events features something for fans of all ages, and our returning classics are sure to feature more adrenaline rushes than ever. We can't wait to wave the green flag on the 60th season of America's Home for Racing." Two world-class car shows return to America's Home for Racing this year, with the Pennzoil AutoFair presented by Advance Auto Parts bringing a colorful cavalcade of classics, customs and hot rods to Charlotte Motor Speedway April 4-7 and Oct. 17-19. 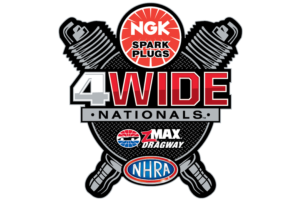 The thunderous roar of 44,000-horsepower excitement returns to zMAX Dragway, the Bellagio of drag strips, for the April 26-28 NGK Spark Plugs NHRA Four-Wide Nationals. The stars of the NHRA Mello Yello Drag Racing Series' nitro categories will fight for the original four-wide Wally in a high-octane showdown like no other. The 35th Monster Energy NASCAR All-Star Race on May 18 brings NASCAR's biggest stars to the forefront for a no-holds-barred, wheel-to-wheel battle for $1 million. Last year's exciting "All-Star" aerodynamics package returns this season, bringing the same challenges back to drivers and teams in their efforts to reign supreme on All-Star night. The 60th running of the nation's most patriotic sports event will see Kyle Busch attempt to defend his title as Coca-Cola 600 winner after 400 laps of racing action in NASCAR's toughest test of man and machine on May 26. Arrive early to take in an unparalleled pre-race Salute to the Troops, featuring more firepower and starpower than any of Charlotte's first 59 iterations of the venerable Coca-Cola 600. Don't miss NASCAR's rising stars competing in the May 25 Alsco 300, a daytime donnybrook for sun-drenched supremacy. One of the most unforgettable finishes in Charlotte Motor Speedway history catapulted the Bank of America ROVAL™ 400 into instant-classic status. Be there for the return of the ROVAL™, a 2.28-mile, 17-turn challenge unlike anything else on NASCAR's schedule and the cutoff race in the first round of NASCAR's Playoffs. Dirt racing's biggest showcase of speed and excitement returns, as the stars of the World of Outlaws NOS Energy Sprint Cars, the World of Outlaws Morton Buildings Late Models and the Super DIRTcar Big-Block Modifieds converge on Charlotte's four-tenths-mile dirt oval for the Nov. 5-7 World of Outlaws World Finals presented by Can-Am. The Carolinas' most breathtaking holiday lights show, Speedway Christmas boasts more than 1,000 strands of 12-foot lights, new displays and more than 3.5 million lights around a 3.75-mile course including Charlotte Motor Speedway's oval, infield and concourse. The speedway's Christmas Village brings the holidays to life, with photos with Santa, holiday foods, gifts and plenty of family-friendly fun. · CARS AND COFFEE CONCORD: A FREE gathering place for fans of all things automotive and caffeinated, the speedway's Fan Zone hosts car owners and enthusiasts to celebrate their shared passion for cars and their prized classics, customs and hot rods. Cars and Coffee Concord kicks off on Saturday, Feb. 16, and continues the third Saturday of every month, excluding May and October. · STEM EXPO: A double dose of racing entertainment and educational value adds to the fun surrounding the 35th Monster Energy NASCAR All-Star Race weekend, as the speedway's STEM (Science, Technology, Engineering and Math) Expo takes place May 17-18. · USAC QUARTER-MIDGETS: All-Star Race weekend also brings the stars of the United States Auto Club's quarter-midgets to zMAX Dragway for a three-day collection of quarter-midget races May 17-19.